Pros: Hundreds of interactive materials and activities highlight actual research. Cons: Pulling together so many resources into a coherent learning sequence can be overwhelming. 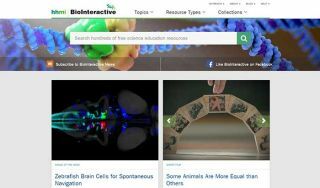 Bottom Line: Superb multimedia tools and lesson plans help kids explore biology through real-world examples.